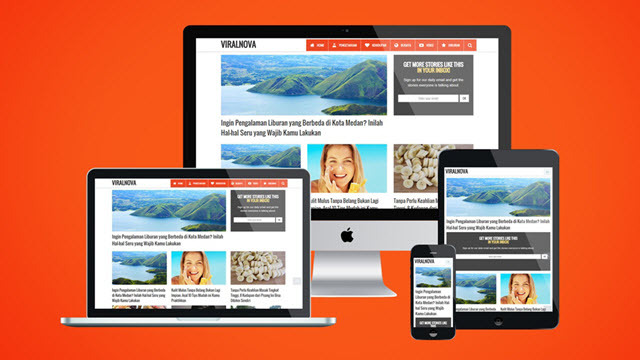 Description: ViralNova Blogger Templates is perfect For Viral Marketer Blogs Sites with excess on the page loading speed. This template also optimally designed in terms of SEO, display and others. This Templates is Inspirated From ViralNova. Template Features : Build With Bootstrap V3.3.6, Fixed Top Navigation Bar, Auto Load Next Page with Ajax or Page Navigation, Full Custom Admin Layout, Unlimited Color, Responsive, Search Engine Optimized, Cross-browser Compatible, Simple Admin Layout, Blogger Template Designer, Custom Menu, Social Share Button, Related Post, Custom Post Thumbnail, Custom Post Snippet, And More Features.